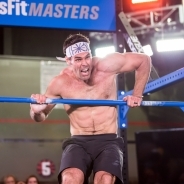 The CrossFit Games Masters competition is arguably stronger than ever before. With former individual competitors returning year after year and new blood always popping up on the scene, the 2018 season is sure to be exciting for athletes and fans. In this episode of the CrossFit Games Update Show, host Sean Woodland is joined by Rory McKernan and Pat Sherwood to discuss the field of play and name a few masters athletes to keep an eye on. The 2019 Open Starts Tomorrow!